Details about Pioneer DEH-1100 DEH-1150 DEH-2100 DEH-2150 Wiring Harness - SHIPS FREE TODAY! 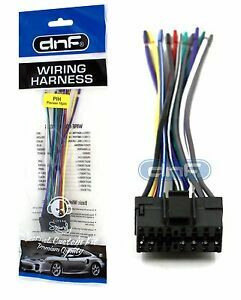 Pioneer DEH-1100 DEH-1150 DEH-2100 DEH-2150 Wiring Harness - SHIPS FREE TODAY! Immediate payment of US $4.25 is required.